You have to listen to this yourself as I have no idea how to describe it right now. 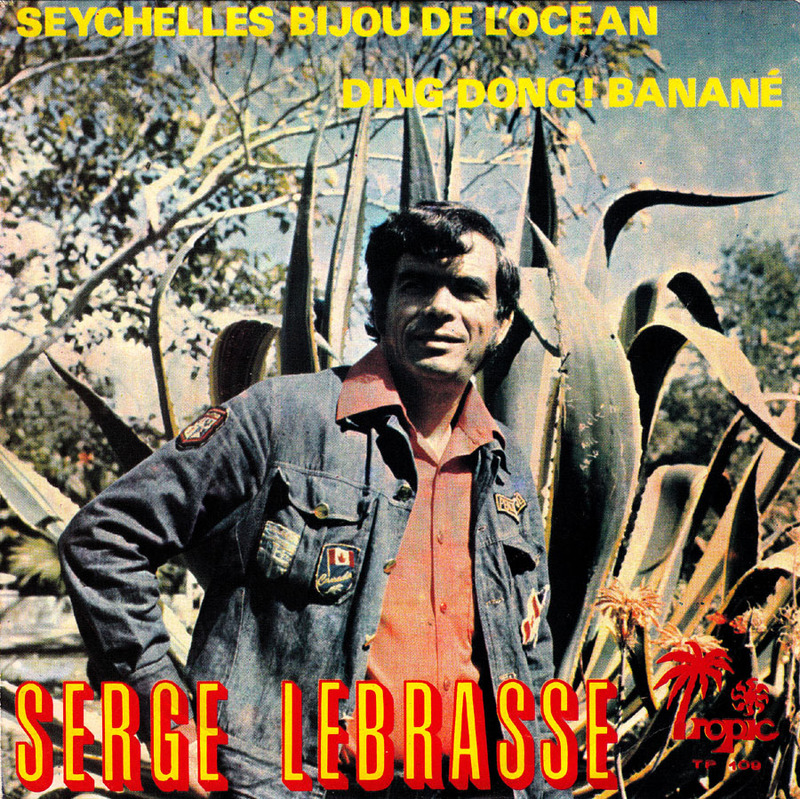 No idea who Serge Lebrasse is either. 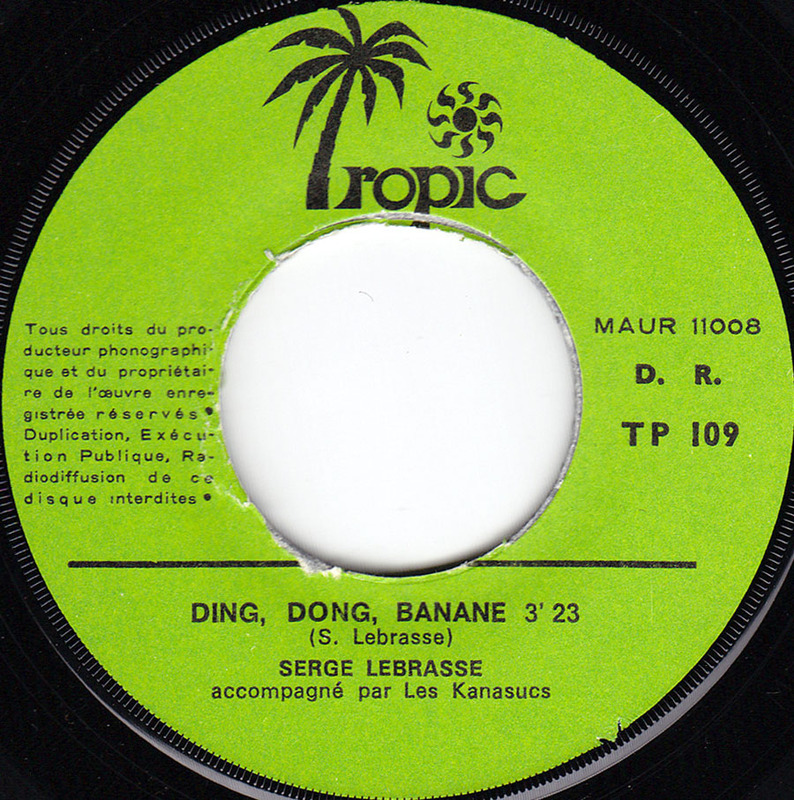 This is a well-known artist from the Island of Mauritius. He’s in his 70s now but is still very much active! 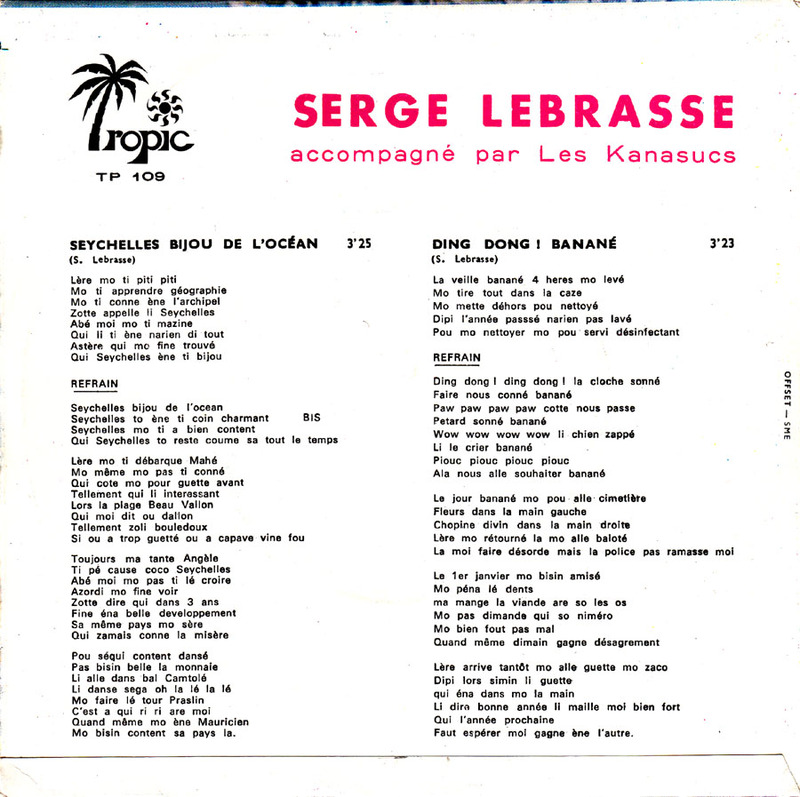 This is a sega record with two songs: one is about the Seychelles (which he calls “the jewel of the Indian Ocean”) and the other is about celebrating the new year (“Banane” is Mauritian Kreol for “Bonne Annee” or “Happy New Year”). I hope this helps.